Reiki is the Japanese word for Universal Life Force Energy. The Reiki energy can be experienced by either ‘hands on’ or by distant healing. A wonderful opportunity for everyone. When regularly used, Reiki can support you and give you the courage to take full responsibility for yourself on every level. It will increase your sense of worth and your ability to love yourself. 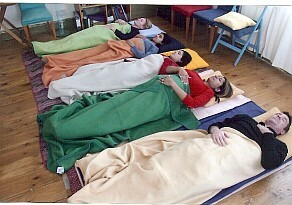 One-day Reiki course. In Reiki I you will receive attunements (symbols are placed in your crown, 3rd eye and palms) that will then enable you to channel this wonderful loving Reiki energy through your hands. All you need to do is place your hands on yourself with your loving intention and it can help. help release emotional wounds, limiting attitudes, fears and damaging behaviour patterns. Further use of Reiki. You will be able to use Reiki on animals and plants. I will also teach other areas of use such as applying Reiki on seeds (pre-germination), food/water, bathing, infusing gifts or presents or letters with the positive energy allowing you to pass on that loving feeling. Further course info. The Reiki I one-day course includes practical parts such as self-treatments, treating each other (going through the most important hand positions), working on plants already using powerfully the Reiki energy. We will also cover rules and regulations, how to prepare a treatment room, possible experiences during the treatment, etc. 45 min of Self treatment in the morning. Giving a one hour session to a fellow student (after full demonstration by me, your manual with all hand positions can also be kept handy). Cost for Reiki I course. � 100, (manual included, group up to six people), tea and biscuits will be provided, �40 non-refundable deposit. Repeats at a reduce price, please call Sandra. Please ring for alternative dates. For bookings, please call the Alexandria Healing Centre on 077521 68159 (text) or 020 8579 7230. "Thank you for sharing your knowledge and experience. Your love and joy and energy and whole 'oneness' with us yesterday on the Reiki course - beyong anything I'm sure we expected. The time - 11 hours - and caring and consideration and sharing of your life with us and your patience and kindnes will be with us for life and hopefully we will be able to pass at least some of it, in the future in our own lives, to others. We met as strangesrs and through your wisdom, joy of life and guidance, we left - changed forever, in a positive way and as friends. Many thanks for a wonderful life-changing day. If you ever need me, call me, Sincerely" Maron H. (Maron had sent this wonderful message as a card a day after the course, made me cry). "I didn't know what Reiki was and what its going to be. But as soon as we started I felt calmer and by the end of the courseI felt I was so relaxed, like I had two weeks holiday. Thank you Sandra"
"I got married 3 years ago to my boyfriend of 6 years, after marriage he would constantly stay out overnight and then finally confessed to me he had been doing a class a drug for the last 5/6 years. Ofcourse I was shocked and then during the next 3 years I believed him everytime he told me he had stopped, being asian and living with inlaws did not help the situation at all. I had support from my family but I would try and avoid them as no-one was living my miserable life, I even stopped working but stayed out from morning until late at night. In turn I kept turning to cannibas and in July 2003 I began to drink heavily as me and my husband were becoming 2 strangers in the same house, by august I was drinking 5 and more double vodkas everyday and smoking, it became more obsessive when I suspected my husband had cheated on me. I went abroad to get away as I seperated from my husband for 5 months but the problem didn't go away. I was now drinking and smoking like crazy, I knew it had to stop but it felt like my only escape. In February 2004 my sister had researched reiki she also being a depressive person from a young age needed to find peace, after her level 1 she told me how she felt, it sounded good to me as I was before my problems quite a spiritual person. In April me and my husband gave our relationship another chance, within one of being back I found out for a fact that he had cheated on me in his high state of mind. Ofcourse this shattered me but this time I didn't leave, I cried and cried and thought it was completely over but then suddenly I saw it as a sign that maybe all this came out now so that we could shut this door and open another, and start anew. Through hypnotherapy he had given up the drugs during our seperation. But my drinking still continued it was my way of once again handling the truth. After many lengthy talks with my sister I booked in for the level 1 reiki course, I had already thought in my head that this would be the only way I could give up the drink and smoke. In between the booking of the course and actually doing it my relationship was taking its toll as my drink had become an issue. My parents became aware of me smoking which made things worse. I couldn't wait for the course. Sure enough after my level 1 reiki I have not touched alcohol or cigarettes again, it has now been 4 months and I feel much happier in my life and my world, I have a job that I thought I was never capable of having, im in the process of buying a new house, starting a family in the new year and considering taking up a diploma course in hypnotherapy to help others. After a month I took up the level 2 reiki course as I felt that I needed the extra healing to help overcome certain thoughts and help myself At the moment I don't look at reiki to become a master worker but more to help myself as it is not easy to forget the past, and even now sometimes my mind does overtime in the thinking department but I recognise this and then turn towards my reiki. 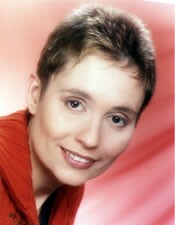 Reiki has changed my life and bought my belief in god back to me. I hope this does help people turn towards reiki and hopefully one day the whole world will be naturally healed. Finally I want to say thank you to you sandra for helping and teaching me the art of reiki and also for giving me the odd reality check. If it hadn't been for you I wouldn't have found this self healing skill for peace and had it not been for my sister I would not have found your healing centre." "A very rewarding day - calming and relaxing. I left in a very positive frame of mind, eager to read up more on Reiki and looking forward to further learning. Sandra is a very effective teacher - not only because of her technical know-how, but also because of her laid back and open personality. Many thanks. Love Dan"
"It was a very amazing experience - invigorating and relaxing at the same time! It will certainly open a new chapter in my life! Can't wait to apply Reiki to my daily life and experience self-healing and self-love. I do feel lighter, loving and giving after this one day! Thanks a lot for this life-changing experience! It was a pleasure and priviledge to meet you! Love Simone"